Travel Weekly reports that several carriers are adding more seats to their planes, particularly the ubiquitous Boeing 737, in an effort to squeeze more revenue from flights. 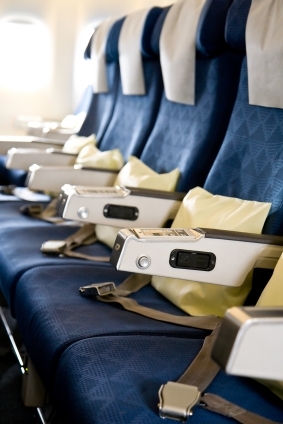 American, Delta, and Continental have all taken steps to configure those planes to hold about 10 more seats than usual, for a total of 160 passengers. Of course, if you’re adding 10 seats but the plane isn’t getting any bigger, something’s gotta give, right? Something like, I don’t know, legroom? According to Travel Weekly, “[American’s] new 737-800s have a seat pitch of 31 inches in coach. Most of the seats on the older models of the plane had a 32-inch seat pitch.” While an inch may not sound like a lot, removing any legroom from the already cramped coach section is a tough sell. However, the seat designs for American’s new 737s, which I reported on in April, are designed to maximize legroom by reclining in a way that doesn’t impact the knees of the passenger behind. The seats also sit up higher off the floor. Kudos to American for redesigning its seats, which is clearly a good-faith effort on its part to be more accommodating to its passengers. But at the end of the day, does this really amount to anything other than airlines cramming in more seats at the expense of their customers? Let me know what you think in the comments section below.